Why See The Queen Extravaganza? In a show that will run just over two hours of playing time, The QE band will perform nearly 40 Queen classics, drawn from a list of the band?s biggest all-time chart hits: "Bohemian Rhapsody," "Another One Bites the Dust," "Crazy Little Thing Called Love," "Under Pressure," "We Will Rock You/We Are the Champions," "A Kind of Magic," "Radio Ga Ga," "Somebody to Love," and "Killer Queen." 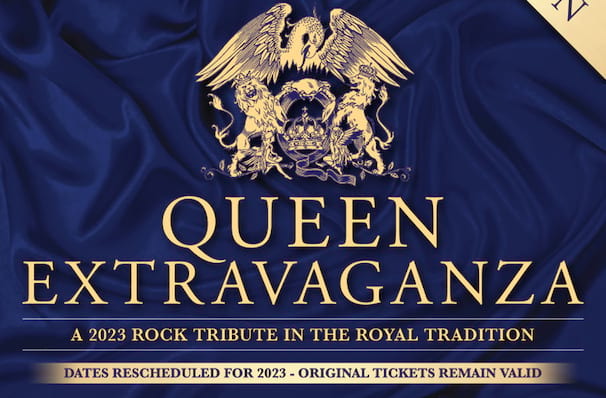 In addition, the show will highlight some of the band's finest heavy-duty rock-based anthems that have long been at the core of their live performances, so audiences can also expect a healthy dose of early period Queen with songs including "I'm In Love With My Car," "Tie Your Mother Down," "Seven Seas of Rye," and "In the Lap Of The Gods,". The show will also be enhanced with never-before-seen video footage! Sound good to you? 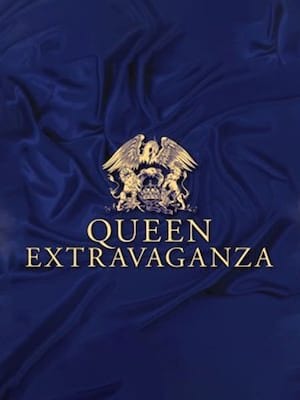 Share this page on social media and let your friends know about The Queen Extravaganza at House of Blues. Please note: The term House of Blues and/or The Queen Extravaganza as well as all associated graphics, logos, and/or other trademarks, tradenames or copyrights are the property of the House of Blues and/or The Queen Extravaganza and are used herein for factual descriptive purposes only. We are in no way associated with or authorized by the House of Blues and/or The Queen Extravaganza and neither that entity nor any of its affiliates have licensed or endorsed us to sell tickets, goods and or services in conjunction with their events.